Have you run across the Unapplied Cash Payment Income account or Unapplied Cash Bill Payment Expense account and have no clue where it came from? You are not alone! When this first came out a year or two ago, I had no clue what was happening, but I’ve got the answer for you! Why do I have an Unapplied Cash account on my Profit and Loss Statement? First of all, QuickBooks Online creates these accounts and the entries to it automatically. No one on your team made these entries. It was all QuickBooks Online. These unapplied cash accounts are QuickBooks Online’s attempt to make your reports a true representation of a cash-basis set of books. And, this all has to do with cash being received (or spent) but not being recorded as revenue or expense yet. 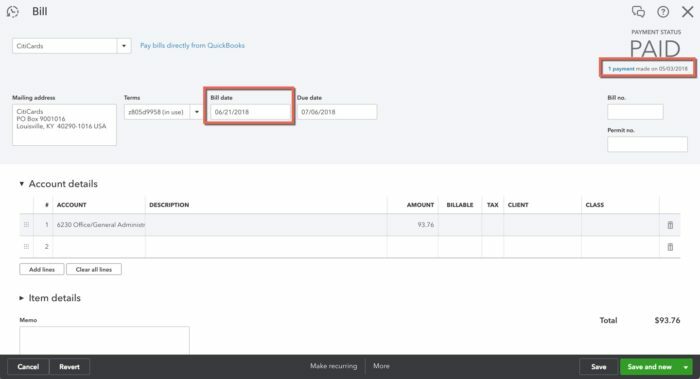 If QuickBooks Online detects that cash has been received (or spent) and it is not showing up on the Profit and Loss statement, it automatically creates this entry to record your cash transactions “properly” (there are a few things you need to look out for, but you’ll find that out below in the long answers). How do I fix the Unapplied Cash transactions on my Profit and Loss Statement? Don’t worry, QuickBooks Online automatically updates the account as it needs to so your reports will be correct on the cash basis. QuickBooks Online calculates what the balance should be based on the dates you run your profit and loss statement. There is no need to fix or adjust the transactions (with one exception below – but leave that to your accountant). 1. Why do I have an Unapplied Cash account on my Profit and Loss Statement? This all comes down to cash and timing. And, if it has to do with a timing difference, then it must only happen when you are using a transaction that could have a split timing. In this case, we are talking about invoices and bills. This is because we record the invoice on one date and then we record the payment (or the cash) on a different date. Same thing for bills. When we record a bill, this is on one date, and when we pay the bill, that is on another date. Usually, those timing differences aren’t a big deal, but what happens if the timing is in two different years or months? Well, QuickBooks Online comes in automatically adjusts your books so that the cash transaction is recorded properly. Here are two examples. In this example, we have an invoice that is dated 6/21/18. If our books were on the accrual basis, then revenue would be recorded on 6/21/18. But, we are looking at cash basis books here. So, let’s see when the cash was actually received. On the top right, you can see the payment was received on 3/23/16. Wow! So, we’ve been sitting on that cash since 2016?! To have proper cash basis books, we need to have this revenue recorded in 2016, not 2018. So QuickBooks Online creates this automatic entry to correct our Profit and Loss statement. So, what is the entry? QuickBooks Online is going to deduct revenue from your Profit and Loss statement in the 2018 report because you actually received the cash in 2016 and revenue will be added to that Profit and Loss statement. See, it all comes down when the cash is received so that your cash basis books are correct. Here we have a bill that is dated 6/21/18. So, if we were running an accrual-based Profit and Loss statement, then the expense would be included in the report that included 6/21/18. But, this bill was actually paid BEFORE the bill date. It was paid on 5/3/18. This means that QuickBooks Online needs to correct our books to record the expense back in May. We can’t wait until 6/21 to record this expense! The transactions will record an amount to the Unapplied Cash Bill Payment Expense account in May, then it will remove it out of that account in June so that the expense will move to its final position in that Office/General Administrative account. As you can see, these Unapplied Cash accounts are simply a placeholder to make sure we aren’t forgetting to record any revenue or expenses on the Profit and Loss statement. 2. How do I fix the Unapplied Cash transactions on my Profit and Loss Statement? For accountants, these accounts create more questions from our clients than anything else and it can be really hard to explain why this is happening. 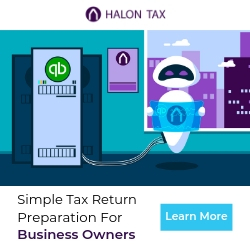 But, if you are an accountant, understand that QuickBooks Online can’t handle any balance (positive or negative) in either Accounts Payable or Accounts Receivable within the report time frame, so it is going to adjust that and push it to the Profit and Loss statement at all costs. Here’s the problem. 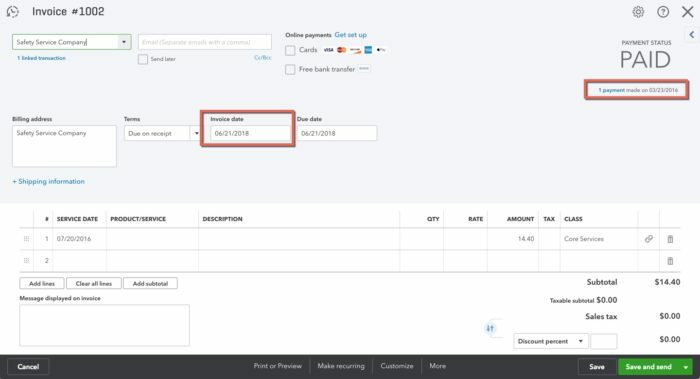 If there is an amount in either Accounts Payable or Accounts Receivable and the other side of the transaction is in a Balance Sheet account, QuickBooks Online still makes that automatic entry to one of those Profit and Loss accounts. The biggest problem? Well, how do you record your credit card transactions? We only have an issue if we are using Accounts Payable to record your bill and pay it. So, follow this logic. We record a lot of expenses that was made using a credit card (liability account). Our credit card bill comes in so we transfer an amount from that liability account to accounts payable when we record the bill. If the bill hasn’t been paid as of the date of our report, QuickBooks Online will reverse any amount in accounts payable and the other side of the transaction is removing that “expense” from the Profit and Loss statement. 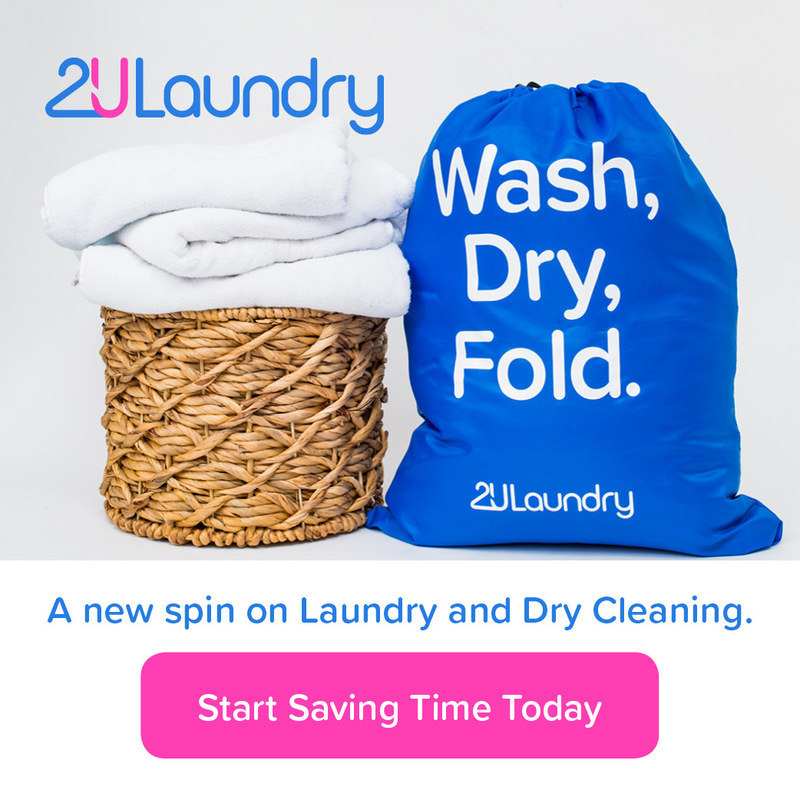 Wait… It’s removing those expenses from my Profit and Loss statement? But aren’t expenses recorded on a credit card considered past of a cash basis report? Yes! So, if you are trying to create a true cash basis Profit and Loss statement and QuickBooks Online has removed that bill amount, then you need to do something to make sure it is included in your cash basis report. You can either change the date of your bill, so it isn’t included in the time of your report. Or, you can create a journal entry to reverse QuickBooks Online’s entry. Just do everyone a favor and make sure to also create a reversing entry. This is because QuickBooks Online will reverse their entry once the bill is paid automatically, so you need to also reverse your “fix” so that everything is accurate going forward. Is this all clear as mud?! 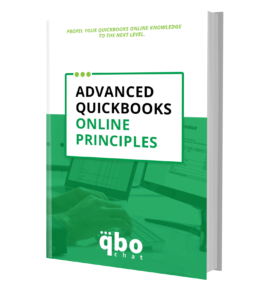 This is definitely an Advanced QuickBooks Online Principle and can be difficult to understand. But (1) know that QuickBooks Online is automatically making adjustments as needed based on the dates of your report and (2) we just need to look out for any adjustments being made that really should be on the balance sheet. I’m having this exact problem with the Unapplied Cash Bill Payment Expense. I’ve had QBO support look at it with me, but as of yet, I haven’t figured out my “fix”. The amounts that are in UCBPE are all applied to a bill, but the original bill was from 2012. It’s a line of credit the client had in a/p all these years, making payments on it. So the transactions that hit in 2018 are all sitting in the UCBPE adding $12k to the expenses. UGGGH! This never showed up in Desktop. If I run the transaction report from 2012 to 2018, the balance is $0. So I just tried your je fix, and it worked to get that off the P & L. Yay! However, now the amount is sitting as a negative in my Unpaid bills report. I have nothing to apply it to. Hmmm. And it pushed it over to a negative a/p on my cash balance sheet. It appears I’m missing a step. Create a bill? But what category will I use without affecting other accounts? Won’t that just push it back to an expense on the P&L again? This one really has me stumped.